Elon musk has of late been much in the news—not that he is ever out of it. In recent weeks, the evangelist-inventor of electric cars has been in the spotlight as much for the latest rollouts from his iconic company Tesla as for weepy revelations about his personal life. In November, Musk unveiled Tesla’s first electric semi-truck which he claimed “will blow your mind clear out of your skull and into an alternate dimension”. For millions of fans and customers, the surprise at the Los Angeles launch of the semi-truck was a new Tesla sports car. So Musk had everyone riveted. But for this column, the major development is something that has not caught the public eye. This is a new patent filed by Tesla for a battery-swapping system that can lift up an electric vehicle and change its battery pack in just 15 minutes. The patent is what is proving to be a bit of a bother. 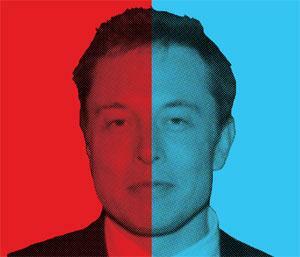 In 2014, Musk had sent shock waves across the industry by freeing up Tesla’s patents (see `Tesla’s `insane’ move to free up patents', Down To Earth, 1-15 September, 2014). It was an unexpected move and unprecedented since competitors were given access to a portfolio of patents on advanced electric vehicle technology. Musk had explained at the time that Tesla Motors—it has since dropped Motors from its name—was created to accelerate the advent of sustainable transport. So the firm would not initiate patent lawsuits against anyone who “in good faith, wants to use our technology”. Amidst the chorus of praise a couple of lone voices had been sceptical. Some had surmised that the patents were not all that valuable since rival electric carmakers such as Toyota were focused on hybrid vehicles and were not likely to take up Tesla’s generous offer. But who would decide if those seeking Tesla’s freed-up patented technology were acting in “good faith”? Since then there has been no word on who, if any, have sought the company’s knowhow in the past three years. Footnote: Tesla was founded by Nikola Tesla, a brilliant Serbian physicist, engineer and inventor, who died in penury after waiving royalties from his most valuable patent. Musk surely knows this. (This article was first published in the December 16-31 issue of Down To Earth). Tesla was NOT founded by Nicola Tesla, but rather was named After him. And, though Mr. Tesla sadly at the end of his life was essentially destitute, he was the inventor of alternating current, an invention that made having power available the way we have it now... possible! So picking "Tesla" as a name for an "Electric" car company makes sense. battery is the key of electric carmaker. Also, it's the right decision of patent filed for battery-swapping system. In the future, the cost of the system, the demand of battery swapping and etc might be crucial. "Which makes it rather curious that Musk, despite his view that patents are a legal quagmire has not stopped Tesla from piling them on." So what do you suggest? That Tesla invents new things, does not get patents, let's other people reverse engineer their tech and patent it (which someone will), then sue Tesla for using their own inventions? Tesla is doing the only sensible thing and you know it. Stop trolling. Tesla was founded by Nicola Tesla??? What he founded his last name??? You can file patents so and let others use it. Simple.